Where: Meet at the Perch Coffee Shop, on the NW corner of Grand Ave and Bellevue (440 Grand Ave.). 9:30 am for coffee and conversation, 10 am to walk to the lake, near the Rotary Nature Center, for birding. 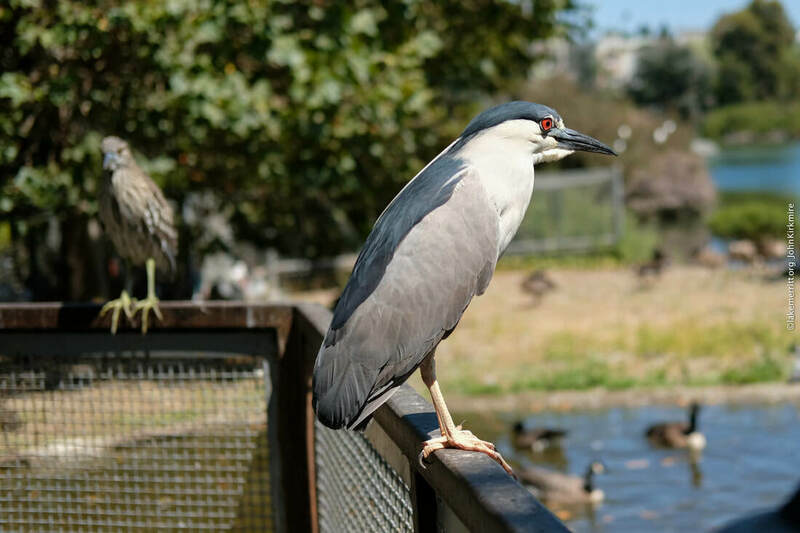 The Lake Merritt bird walk will be an easy one—short and level—but we should see lots of birds. Last year the lake was teeming at this time. There will still be a lot of winter ducks around, as well as a colony of nesting Double-crested Cormorants—these are large birds that will be easy to see. Additional species we should see include various kinds of ducks, gulls, grebes and swallows, terns, night herons, snowy egrets, Canada geese, and maybe hummingbirds. Bring binoculars if you have them. I will also bring a spotting scope so that you will get excellent looks at some of these birds. Equipment or special clothing: Bring binoculars if you have them. Dress warmly. Carpooling: Write to the Nature Walks email forum at walks@ashbyvillage.info for carpooling. Transit: The #12 bus (from downtown Oakland or from Albany/North Berkeley) stops at Grand and Staten, one block from the Perch coffee shop at Grand and Bellevue. The # 57 bus stops at the Grand Lake theater on MacArthur and Grand, a 6 block walk to our meeting place.